A Cook County man’s conviction for first-degree murder was overturned, and a new hearing ordered, after the Illinois Supreme Court ruled that his defense attorney provided ineffective counsel for failure to object to testimony regarding the defendant’s confession. Watch any crime procedural on television or in the movies and you’ll no doubt witness repeated cries of, “Your honor, I object!” from attorneys on both sides. While they add dramatic flair to the movies, objections serve an extremely important part of criminal trials. Just like in a basketball game, where the referees call fouls when players violate the rules, objections serve as the attorney’s way of ensuring that the rules of criminal procedure are followed. In basketball, if the ref fails to call a foul, there’s a lot of grumbling by players, coaches and fans, and maybe the team loses the game over a couple of lousy calls. But in a criminal trial, the defense attorney’s failure to object can result in conviction and imprisonment. This is what happened to the defendant in People v. Simpson. The defendant was convicted of first-degree murder in the beating death of a man. The conviction was based in large part on videotaped statements of a third party, who told police that he was near the murder scene and that the defendant confessed to committing the crime. At trial, the witness said he remembered talking to the police about the defendant’s statements, but he could not remember what he told them. In fact, when the prosecution would ask him to confirm specific statements he made to the police, the witness could not confirm that he had made them. The statement describes an event the witness had personal knowledge about. In this case, the witness’s statements did not describe an event he had personal knowledge of, and the Illinois Supreme Court made clear that the “personal knowledge” requirement refers to the crime itself, and not personal knowledge of the defendant’s statements, which is what the prosecution argued. Yet despite the fact that the witness’s testimony was clearly inadmissible under the prior inconsistent statement rule, the defendant’s attorney failed to object. It is the duty of the defense attorney to object to the admission of evidence – the judge makes no objections, he simply rules on them. Failure to object means the evidence is admitted. In this case, the witness’s testimony was instrumental in the defendant’s conviction. In overturning the defendant’s conviction, the court noted that it could determine no strategic reason for the defense attorney to have wanted the statements admitted. The court also noted that while other testimony tended to show the defendant’s guilt, the testimony in question was a supposed confession, which generally carries more weight with jurors than other testimony (particularly in this case, where one of the prosecution witnesses had failed to identify the defendant at trial). Without its admission, the court stated that there was a reasonable probability that the jury would have acquitted the defendant. As a result, the conviction was overturned and defendant was granted a new trial. 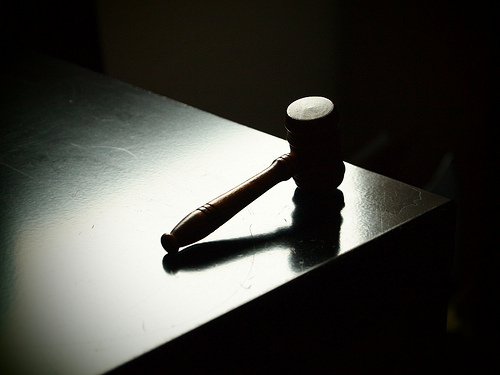 A criminal case is often won or lost on the effectiveness of the criminal defense attorney. With close to 20 years’ experience as a Chicago criminal defense attorney, David L. Freidberg uses his wealth of knowledge to aggressively fight all charges and ensure that every client receives a fair trial. Contact our Chicago, Skokie or DuPage County office 24/7 to speak with a representative and schedule your free initial consultation. Our number is 312-560-7100, or you can complete our convenient web form.